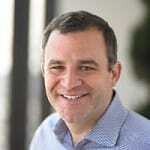 Matt joined Bain Capital Ventures in 2012, to lead the NYC office and focus on business services companies, with a particular interest in financial services. Matt serves on the board of Billtrust, Novus Partners and SigFig. Prior to BCV, Matt co-founded and ran Village Ventures, where he focused on the same sectors and invested in such companies as BlueTarp, Consumer United, Dwolla, iSend, On Deck Capital, Simple, TxVia and Zipmark. Earlier in his career, Matt worked at Bain Capital in the private equity group. Matt went to Williams College, graduating in 1994 with a degree in Political Economy. Matt was the Captain of the Williams College Rugby Club for his junior and senior year, which as you can imagine consumed nearly all of his spare time. Outside of work, Matt is delighted to spend time with his wife, Jessica, and their three children. He is the Chairman of the Board of the Williamstown Theatre Festival, a regional theater associated with Williams College. Matt is obsessed with military history, and some day will write a book connecting the strategy and tactics of insurgency with what he has learned about entrepreneurship.